The Oklahoma City Autpatch Association will conduct a Technician License Course beginning on Thursday, 7 January, 2016 running eight weeks to Thursday 25 February, 2016, 6-9 PM. The classes will be held at the Oklahoma School of Science & Math (OSSM) Library, 1141 North Lincoln Blvd, Oklahoma City. Students should use the parking lot entrance on NE 10th Street. Students should bring photo ID for access to OSSM library facility. Student must obtain their own copy of the ARRL Technician Class License Handbook. The license handbook is available locally at Barnes & Noble or can be ordered from the ARRL Store (arrl.org). If possible, students should attempt to 'read ahead' in license handbook. Tech License exam will be administered at the of the course; there is a $15 exam fee. 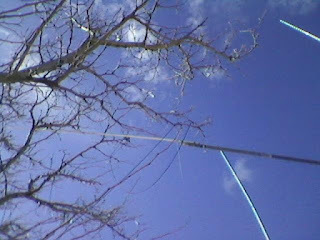 Antenna fell over on the east end, the guy rope ring snapped in two, over she went into the other guy ropes resting in the tree. 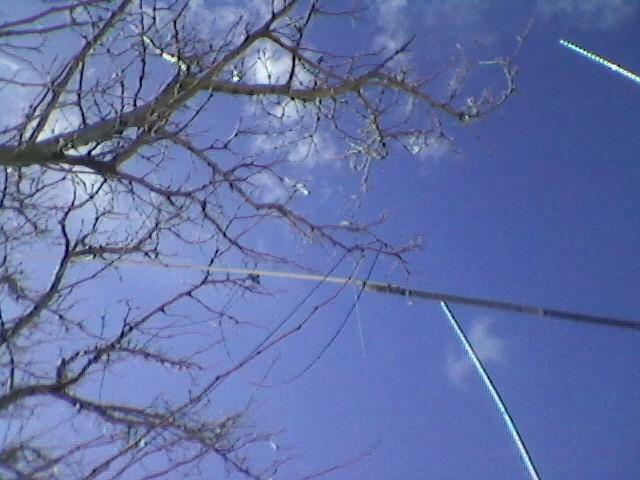 HF wire leg is also down too, HF radio inoperable for now. Scope: Activate all 69 City of Lawton parks to commemorate the 100th anniversary of the National Park Service and increase Lawton, Oklahoma’s visibility not only in SW Oklahoma, but to the State of Oklahoma and nationwide. Encourage radio amateurs in the Lawton metro area to participate and give out parks. 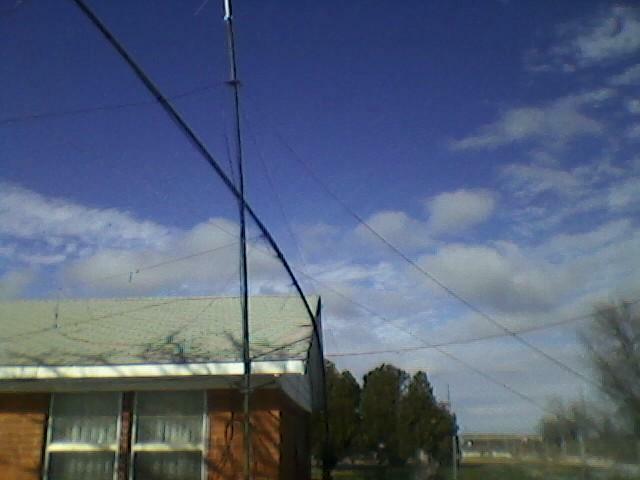 Bands/Modes: 2m to 80M, excluding 12, 17, and 30m. WARC bands will be excluded due to conversational value and protocol reasons. May be reconsidered later. All modes may be used; however, repeater, DMR, IRLP, Echo Link, and DStar contacts will not count. Power: Minimum power needed to make the contact. When/Which parks will be on: See website for schedule. Parks will be scheduled for a whole week to give the radio amateur flexibility to operate contingent on their personal schedule. Parks will generally be available between 0800 and 2000 hours. There will be no overnight operations in any of the said parks. Inclement weather/Park unavailable: There will be times when weather, esp. winter that park may not be available. There could be also a conflict with scheduling if an event is there occupying the facility. Our goal is to try to get each park scheduled twice so all can have an opportunity to work the park. Some parks may have to be rescheduled. If so, the schedule will be updated on the website. Work at least 5 parks and qualify for the basic certificate. Confirm contacts through LOTW. Number of parks worked will be printed on certificate. Be within 100 yards of the park. Activate park for at least 90 minutes. Park operators understand that park activations are at your own risk and self-decision. Lawton-Ft. Sill Amateur Radio club assumes no risk for personal injury, loss, medical emergencies, theft, criminal actions, self-defense issues, death, damage to vehicle or equipment, etc. as a result of operation from a park. If you are not sure if you wish to operate, then please do not. Be licensed to operate W5KS on the frequencies within your current license class. Email logs in .adi format to NL7CO for upload into the LOTW site. When creating upload, please put park name and LCPOTA in the remarks to where the station confirming contact can get credit. US/VE and DX , please put name of park in your remark block where you can get credit. Please sign up on the sheet on the website You will be given your own password. Your call sign will be your username. Primary confirmation of QSOs for certificates will be LOTW. There will be no EQSL. Certificates maybe requested for the event. We request a donation of $5.00 to cover postage and paper. Addendum: We hope you have fun with this event and thank you for your interest and participation. Merry Christmas and Happy New Year, Oklahoma Section! Has it been a good year for you? It has been a good year for the Section. The Oklahoma Section had a 1.8% increase in League membership this year. If you have not joined or renewed, the dues are going up January 1. The Section added a CW net, an Automatic Packet Reporting Net, a Digital Mobile Radio net, and a Voice Over Internet Protocol net to the mix. Thanks to Howard, WD5IDB, the Tulsa Digital Radio Club, and others who have been moving these new projects along. 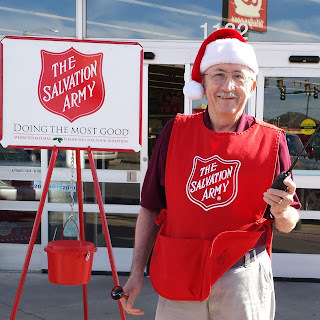 Speaking of Volunteers, in addition to the Amateur Radio Emergency Services crew, the Section has had a number of Official Observers appointed this year. 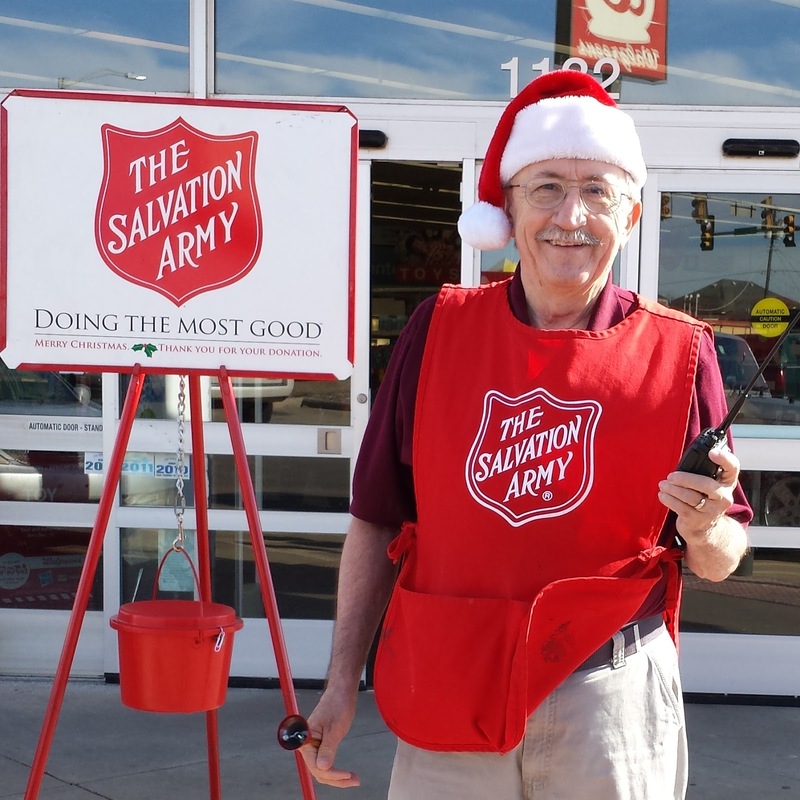 Please check out the posts available and volunteer for one. There's plenty of work for everyone in the Section. Your section leadership is looking forward to another great year! Who are they? The Oklahoma Section Page lists them. Rest assured, they are more than willing to help with any issue you may be facing in amateur radio. Your section manager can't be everywhere all the time. This group is helpful in places where he is not. Mary, KE5LTA reports net participation is up but also she reports there are openings for Net Control Stations on the various nets in the Section. Please reach out to her to offer your support. Division Legislative Liaison Eddie Manley, K5EMS was busy with the Generator Bill and he joined Public Information Coordinator Michael Dean, K5MFD to get your legislators to understand who would benefit and who would be hurt but the Text and Drive law. Your section benefits from the work of these two. Some are doing some interesting things in the Section. The Batfish and Oklahoma memorial stations remain popular. Route 66 and the Oklahoma QSO party are annual events. The Lawton Parks on the Air will be coming up soon. Of course the Section hamfests remain popular. Each issue of QST lists Silent Keys. Those numbers are offset by the number of amateur radio classes in the Section. Thanks to all who help with the Volunteer Examination Program. In reviewing the Section records, did you know there are as many active ARRL Affiliated Amateur Radio Clubs as there are inactive? There are only three Special Service Clubs. Can you help move the Section forward by joining your local club and helping them become active in the League, please? While, personally, this has been a challenging year, as pointed out above, there has been TREMENDOUS achievement in the Section. Keep moving forward, Oklahoma! Need a New Year's Resolution? If you are not an ARRL member, how about resolving to join? If you want to make amateur radio a better hobby, how about volunteering with a Section appointment? Thanks to you all for your support of the American Radio Relay League and the BEST hobby on the Planet. K0NEB, will be back with us to talk about more kits. who would like to call in. of Monticello, ME on 5110 Khz, Please send a signal report to tom@w5kub.com. at 8 PM CT (0200 UTC Wednesday) at W5KUB.com. have the opportunity to ask questions via the chat room or telephone. Live, we have had almost zero complaints about buffering or freezing. where we lose the main video server, we can quickly turn on the back up feed. "live #hamradio show starts in 15 mins on w5kub.com 8 PM CT". This should help increase our viewer base. shack could be used as the background of that week's webcast! allow you to share this message with your friends. placed on YouTube's W5KUB channel the following day. After discussion with the Oklahoma DMR group, we have determined that a "live" interlink between DMR and D-star/Echolink/IRLP would violate provisions of the DMR-MARC covenant that governs all of the Oklahoma DMR repeaters. We will kick off the "OK ARRL DMR Net" this Monday, December 21st starting at 8:15 PM in the Oklahoma State Talkgroup. It will be every Monday at the same time thereafter. Net control will be AF5XC Dustin with AE5ME Jeff as backup. Bring your questions about DMR. If net control cannot answer it immediately, we will contact the appropriate persons during the net for help. There will also be a "digital corner" portion of the net in which we cover an aspect of digital radio. Of course, the OK ARRL Voice-over-IP net will continue at 9:15 PM. if you are a D-star repeater, link to Reflector 052B (Oklahoma Reflector). If you are an Echolink repeater, connect to conference 7203 (*WX_TALK*). If you are an IRLP repeater, connect to IRLP 9219. Net control will continue to be W5LHG Larry, who has done a wonderful job for the first two nets. The 9:15 net will also have the "digital corner" feature. Looking forward to participation from the DMR stations in our statewide net! Editor's note: DMR repeaters in Oklahoma are listed on RepeaterBook. I found the following site when looking for some other weather stuff. You might find it interesting, also! http://spaceweather.com GEMINID METEOR SHOWER: The annual Geminid meteor shower peaks tonight, Dec. 13-14, as Earth passes through a stream of gravelly debris from "rock comet" 3200 Phaethon. Dark-sky observers in both hemispheres could see as many as 120 meteors per hour during the dark hours between local midnight and sunrise on Dec. 14th. Last night, Dec. 12-13, NASA's all-sky meteor network detected 15 Geminid fireballs over the USA. That number will surely increase tonight when the shower peaks. Visit Spaceweather.com for more information. December 12th at 1 PM. Net control will be KD5NJR. UZ7HO soundcard modem at the Broken Arrow Central Library at 300 W.
OKC Metro, within 30 miles of W5LHG IGATE. 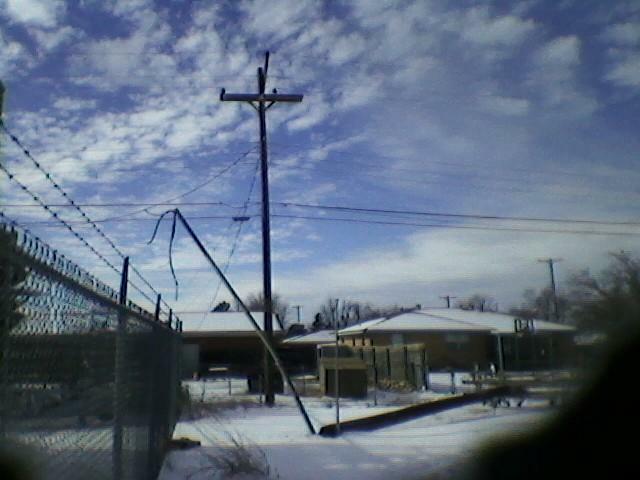 Guymon, within 50 miles of KB5IIM-15 IGATE. Enid, within 30 miles of K0WHN IGATE. 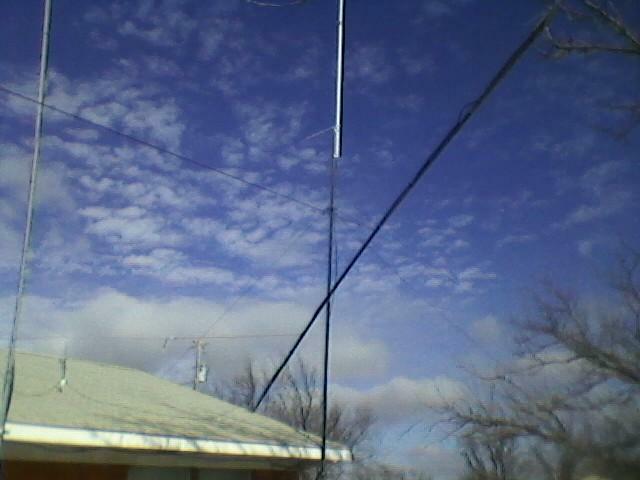 Bartlesville, within 30 miles of KE9XB IGATE. Buffalo, within 50 miles of WL7II IGATE. Altus, within 50 miles of N5VX-10 IGATE. dot com and I will provide you more details. The flu is a contagious respiratory illness caused by influenza viruses that infect the nose, throat, and lungs. According to the Centers for Disease Control and Prevention (CDC), winter is the typical season for influenza activity, but outbreaks can happen as early as October. Flu symptoms can include: a sore throat, a runny or stuffy nose, muscle or body aches, and fatigue. Fever is another symptom of the flu, but the CDC notes that not everyone with the flu will have a fever. While anyone can get the flu, some people are at high risk of developing serious flu-related complications. People who are at high risk include young children, pregnant women, people age 65 years and older, and people with chronic medical conditions (such as asthma, diabetes or heart disease). For more information about the upcoming flu season and how to avoid spreading this illness, take a look at this CDC resource guide. things, there were some hiccups but those were quickly overcome. have ARRL leadership supporting our various efforts in Oklahoma. Please remember to check into the net which is set to occur every Monday night at 9:15 PM. D-Star to the VOIP Skywarn group ... www.voipwx.net  Thanks to the leadership of the VOIP Weather Net for the use of their resource. Local repeaters are encouraged to link into the net on IRLP or Echolink. Other VOIP systems will be supported upon request. Individual users may also connect using D-star dongles and hotspots connected to Reflector 052B. Echolink applications are available for the IPhone, Android OS, and Windows OS that also allow individual participation via internet. Thanks to all hands who are making this a wonderful Statewide experience. BRING A FRIEND AND ENJOY THE FOOD AND FELLOWSHIP!! The Altus Bulldogs also took State in 5A Football. What are you doing in your community? Let us know, please. On Saturday December 12, 2015 from 6:30 PM to 8:30 PM the Edmond Amateur Radio Society will host a 2 Meter FM simplex Sprint! This contest is open to all amateur radio operators and is intended to promote the sport of amateur radio competition and to simulate a repeater outage during an emergency. This is a great exercise to test how far one can reach with a handheld, mobile, or base station. The focus of this contest is to introduce everyone to amateur radio contesting and invite them to attend our free General license class beginning March 8, 2016.
page, or e-mail our class coordinator, cqN5ZY@GMAIL.COM. re-work and be re-worked when they have relocated to a different zip code. this contest, we will use only these 8 frequencies with a convenient 20 kHz separation. Work as many different calls and locations as possible exchanging information as presented above. Work each station once per ZIP Code — i.e. Mobiles can be re-worked whenever they change locations. Use the log scoring sheet that will be available in MS Excel or Adobe Reader or Google Docs. Each EARS officer is worth 20 points. Mobile operators operating from more than one zip code are awarded 200 bonus points! Stations running => 51 watts power <= 100 watts to the antenna: multiply score by 1 (e.g. when you submit your log; we will not calculate each score. Others must be postmarked no later than December 31st. Mail logs to EARS 2M SPRINT, P.O. 2016 Spring General Class will be Tuesdays 6:30 PM to 8:30 PM March 8 – May 3. All exams are offered the first Saturday of every month, RSVP only. 6, 10, 12, 15, 17, and 20 meters. 10, 12, 15, 17, 20, 30, 40, and 80 meters. 10, 12, 15, 17, 20, 40 meters. which are factored into asking prices. Several 1 1/4 inch, 10 foot "TV" mast sections. Several "tripod" roof antenna mounts. with rotor mount and thrust bearing. I'll deliver within OKC metro area. All other items are local pickup ONLY in SE OKC. Please use email for initial response.